The 15th Anniversary PA AMR Conference has been deemed a huge success by it’s Conference Planning Committee and from the written surveys of those who attended. The Pre-Conference Workshop at the Civil Engineering Lodge in Stone Valley, sponsored by the Susquehanna River Basin Commission (SRBC), was exceptionally informative and provided tech savvy information from the Bayer Center for NonProfit Management’s Cindy Leonard, Consultant Team Leader at Robert Morris University, on how to utilize Social Media outlets like FaceBook, Twitter, RSS Feeds, websites, Tumblr, Flickr, Photobucket, Pinterest, and others to your advantage. Mark Critz, President, Mark Critz LLC, Vice President National Sales-Print & Copy Center, and former US Congressman for the PA’s 12th Congressional District (2010-2013), that stretched from Johnstown, to the southern suburbs of Pittsburgh did an excellent job on educating those in attendance on how to establish relationships with Staffers from legislative offices at the State and Federal level to communicate our environmental issues with Congressmen and women, and Senators in PA.
Andy McAllister, WPCAMR Regional Coordinator gave a dramatic and theatrical presentation on legislative issues, normally a dry topic to expound upon, facing PA’s AMR Community from both the National, State, and Local perspective and rhetorically asked everyone, how are they going to approach these issues, proactively, or re-actively with a collective voice. Robert E. Hughes, EPCAMR Executive Director provided each of the speakers with a small token of appreciation for their talks and insight, a commemorative 15th Anniversary PA AMR Conference magnet that was made out of EPCAMR’s “Yellow Boy” recycled iron oxide from an AMD passive treatment system in the region, coal ash from a Wyoming Valley home that still burns anthracite, and a regional clay from the Harvey’s Lake area of Luzerne County. 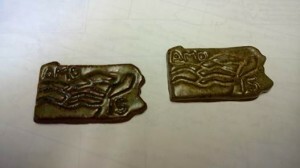 The magnet was created by Skip Sensbach, Artist in Resident, with assistance in the design concept by EPCAMR, and his art students at Misericoridia Univeristy’s Art Department. The magnets were provided to all conference attendees as well on Friday and Saturday. 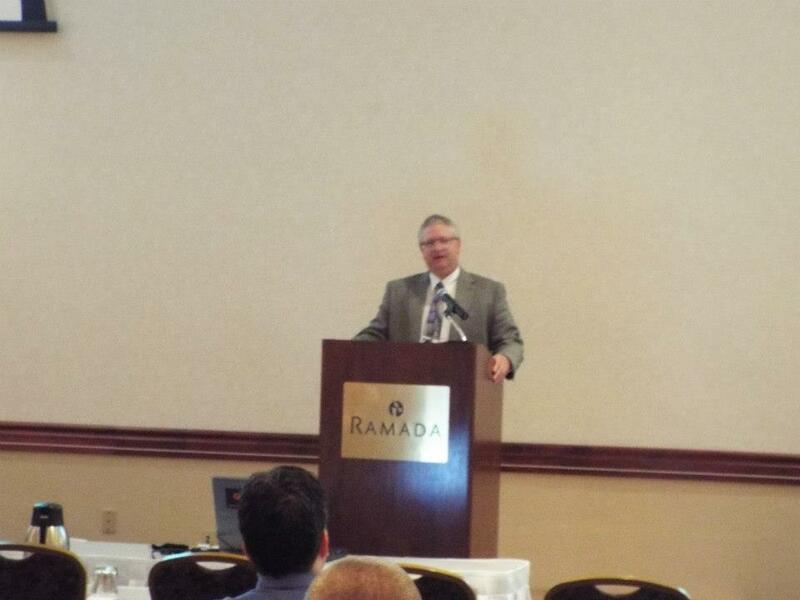 The Friday morning Keynote Address provided by Glenn RIder, PA DEP Bureau of Conservation and Restoration, highlighted the new bureau with his new mission of “getting dirty water off the dirty waters list” and that means AMD and other non-point source pollution across PA. He discussed funding opportunities, the Bureau’s goals related to AMD, their priorities, and acknowledged our PA AMR Conference Committee’s vital collective efforts, and EPCAMR and WPCAMR’s steadfast coalition-building across PA, along with their partners to continue to make AMD a priority in PA’s Coalfield communities. The Friday and Saturday presentations will be uploaded soon and we can’t tell you how pleased we were with the quality of the presentations. All were great! 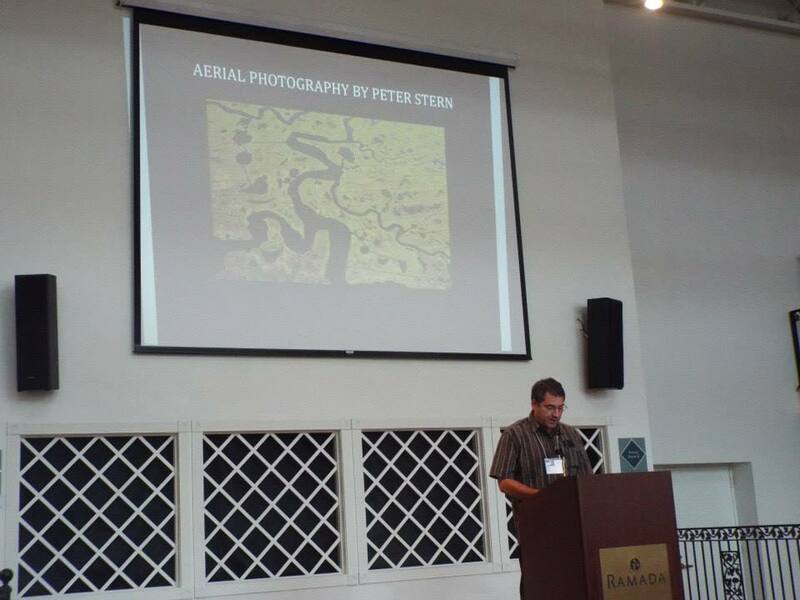 Our Friday lunch speaker, Peter Stern, was personal, introspective, seemed to have made a connection with many in the audience, and provided us all with a new aerial look of PA’s abandoned mine lands and mining activity from above with his stunning photography captured using aerial photography as he flew across PA.
Robert E. Hughes, EPCAMR Executive Director set the tone of the Friday evening Dinner with a recap of the PA AMR Conference’s 15th Year Anniversary, having coordinated all of the previous Conferences as either Chair or Co-Chair, back to 1996 and gave an inspiring 10 minute speech on why it is important for the PA AMR Community to continue to do the work that we do in the hopes of achieving clean water for our future and our children, the next generation. He acknowledged his first Supervisor, Mario Carrello, from the PA DEP Moshannon District Mining Office, who mentored him as an intern while at Penn-State back in 1994-1995, who was in the audience on Friday night, and is to this day, a trusted colleague and friend that EPCAMR continues to work with on AMD projects some 20 years later. Robert highlighted many fun themes, activities, presentation tracks, and places that we’ve toured over the years that connected us all to our roots in the PA Coalfields where we have successfully turned orange water into clean water and have brought trout fisheries and bugs back in increased numbers and diversity. He told us to be proud of who we are and take pride in what we are doing against all odds and to stand up for what is right in our communities. We need to continue to develop the partnerships with all levels of government and non-traditional groups like the Coal Industry, Co-Generation Plants, the Gas Industry, and others keep our goals in line. Clean water. 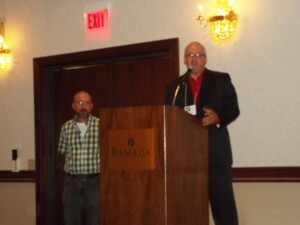 “Removing the dirty water, from the dirty waters list” reiterated by Glenn Rider, PA DEP BCR. We are the local liaisons and boots on the ground that have to take care of ourselves and not wait for projects and initiatives to tell us what to do and when. We need to remain vigilant and have perseverance in our approach to AMD remediation and abandoned mine land reclamation. Friday night’s Annual presentation of the Mayfly Award Winner was also no exception to great folks that we recognized at the 15th Anniversary Conference. 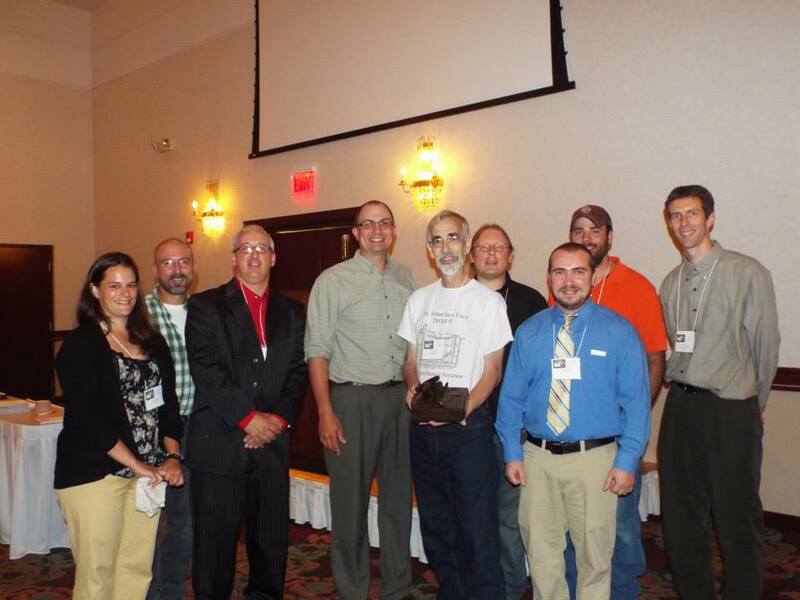 The Pennsylvania Abandoned Mine Reclamation (AMR) Conference’s coveted “Mayfly Award” recognizes individuals who have dedicated a lifetime of knowledge and expertise to the reclamation of abandoned mines in Pennsylvania. The mayfly was selected as the symbol for this award because its presence in a stream signifies clean water.Mr. Bruce Leavitt, a Consulting Hydrogeologist, from Western PA who figured out a way to use an ancient device known as a “Trompe” to achieve mechanical aeration without the need for electricity, motors, or any moving parts to aid in AMD remediation was the 2013 Mayfly Award Winner. 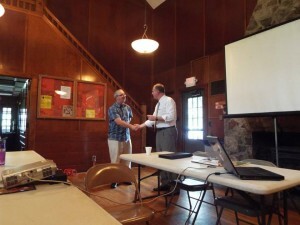 He was presented the Award by Tim Danehy, BioMost, Incorporated, who had many kind words to say about Bruce, and stood for the award with his most esteemed colleagues, from Stream Restoration Inc. and Bio-Most, Incorporated. The welded sculpture was created by Michael Bestwick, Fennelton, PA. 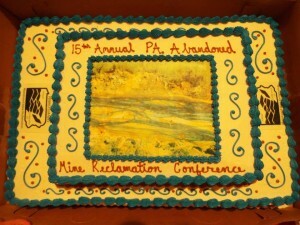 The PA AMR Conference Committee even sprung for a 15th Anniversary Cake created by WEIS Markets in State College, PA, complete with a marble-looking photo of the Manor AMD discharge that was visited on last year’s tour to Western PA and our PA AMR Conference logo bookmarking both sides of the two-tiered butter-cream chocolate and vanilla cake. Saturday mornings presentations were also a big hit. We may have lost 40% of our audience, however, those that were able to stay through lunch received a good education on the differences between Anthracite and Bituminous Mining, Geology, and Water Chemistry and Flows of AMD discharges across PA, learned about what the Media is looking for in stories about our issues, got a look at a comprehensive Restoration and Assessment Plan for the Lackawanna River and photos of what may be the largest AMD pollution source in the Chesapeake Bay Watershed in the Old Forge Borehole, and a presentation on utilizing Macro-Invertebrates as Indicators of AMD impacts and recovery efforts, to name a few. The Conference couldn’t have been made possible without the financial support of the PA DEP, the PA Association of Conservation Districts, Inc., and the PA AMR Conference Planning Committee, and a special thanks to Agri Drain Corporation and our colleague Joe Shueck, for providing us with note pads for all Conference attendees. 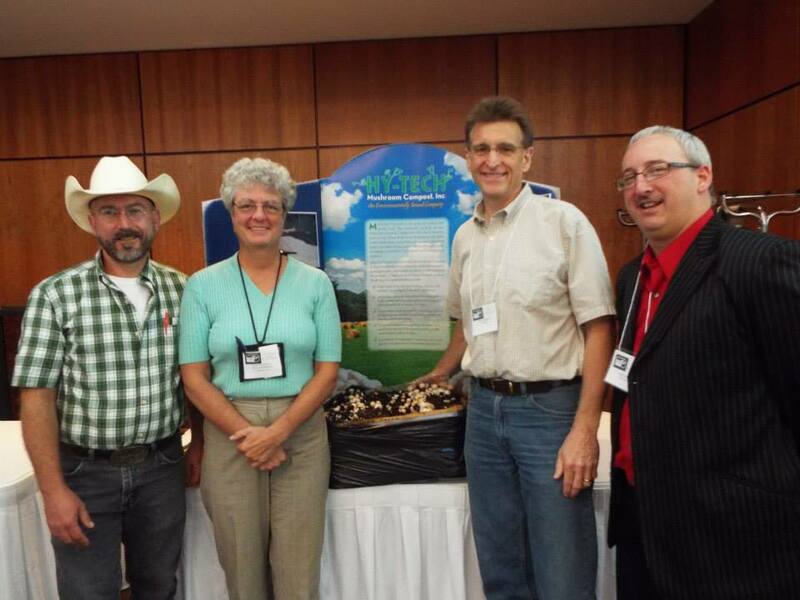 Hy-Tech Mushroom Compost, Inc. also auctioned off a large mushroom block that netted some donations to the Conference thanks to Lisa Van Houten that was won by Eric Rosengrant, PA DEP Moshannon Mining Office. In the next several weeks, EPCAMR will be converting the presentations from the 2 Tracks into “.PDF” documents on the website for those who were not able to attend or get to visit the other sessions during the Conference. The PA AMR Conference Committee makes every effort to make all of our presentations public on this website for the larger AMR Community that was not able to attthend due to financial reasons or other conflicts. Please check back to the site for the updated information for next year’s Conference and location slated for June 26-28th, 2014. In the meantime, if you attended the Conference and did not have a chance to complete the written survey in your packets, here is the online link. We would appreciate you filling out this survey so that we can compile and aggregate the information for our wrap up and debriefing meeting on August 29th, at 10am. So please, if you have the time, and attended, please complete the online survey below by the 26th of August. Thank You! 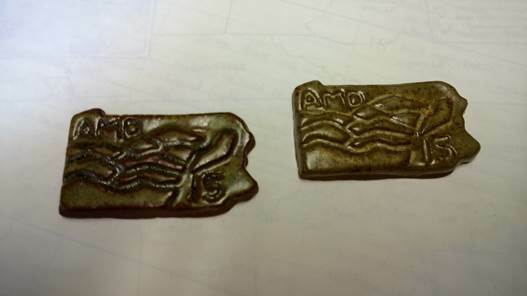 As an added piece of swag for the Conference, EPCAMR has partnered with Misericordia University’s Artist in Residence, Skip Sensbach, to create commemorative 15th Anniversary Magnets made from iron oxide processed and harvested by EPCAMR from an existing AMD Treatment system in Northeastern PA’s Wyoming Valley, coal ash recycled from a coal burning stove, and a regional native clay from Luzerne County’s Back Mountain. 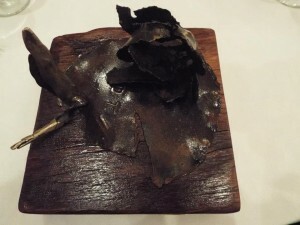 Skip has created a regional glaze that takes on the color of peat moss, which ironically, was the beginnings of the formation of coal long, long ago. 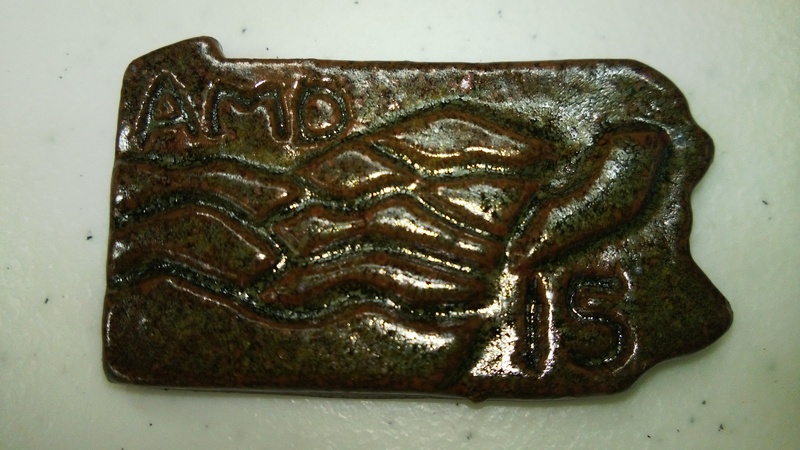 With the greenish-brown and pink colored clay glaze, he was able to artistically re-create our PA AMR Conference logo into the shape of PA and incorporate the number “AMD” and “15” into the design of the magnet, in addition to trying to highlight the eastern and western portions of PA that are impacted by abandoned mine drainage. Misericordia University donated the use of their kilns, assistance from art students from Skip’s class, and his time to create this artistic little token of remembrance for those who will be attending the Conference and as a reminder that it is very possible to make something creative and artistic out of what many would only think of as a pollutant source and constant reminder of our mining past. Submit your very own “Watershed Hero” trading card in honor of the work that you and other volunteers in your watershed have contributed to cleaning up your local environment and the AMD impacts in your backyard. Let no one go unnoticed. 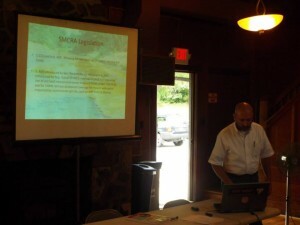 There has got to be more than a dozen watershed heros across PA! Recognize them in a fun and unique way! There are no limitations as to how many nominations can come from any single group. Nominate individual community leaders and volunteers that deserve to be recognized for their efforts, time, talents, and treasures. 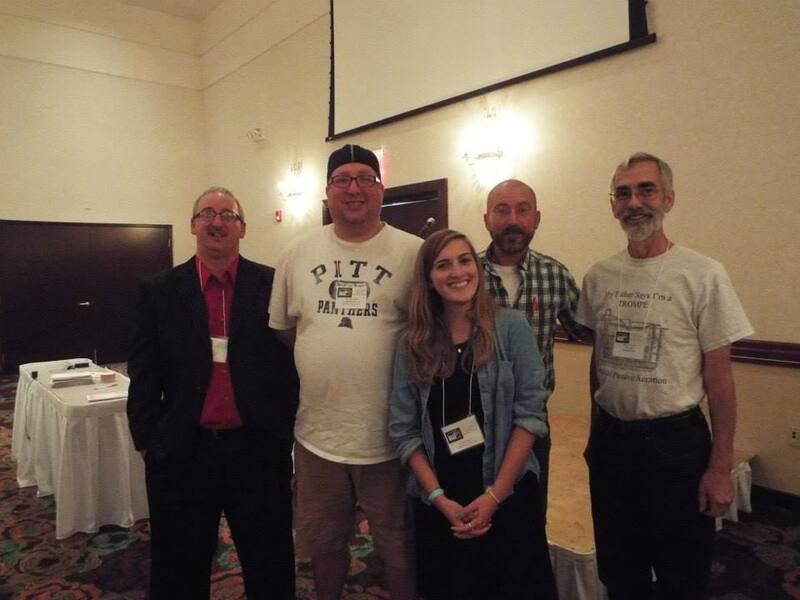 The PA AMR Conference Planning Committee want to recognize you and other PA volunteers at this year’s 15th Anniversary of the PA AMR Conference. All Watershed Hero trading cards will be displayed on the website and will be printed on a full color poster board to be showcased at the Conference. Only adults should submit and nominations for adults due to concerns with publicizing children’s or teen’s images on the website without consent or permission. Selected “Watershed Heroes” will be featured in a slideshow at the conference and other publicity as well. Five (5) Winners will be chosen from all nominations submitted to win a cash prize donation to the winning hero’s non-profit watershed organization of his or her choice. No private for-profit business or company will be awarded the cash prize. An anonymous donor has contributed significantly to the cash prize. The AMR Conference Committee has thanked and greatly appreciates the donation, as will the winners. 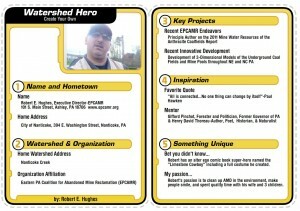 By creating a “Watershed Hero” trading card with your photo submitted, the PA AMR Conference Committee reserves to right to use images and all information obtained from the trading cards to advertise for the Conference and future Conferences. Submission deadline is July 9th, no late submissions will be considered. Please Create Your Own* Trading card. 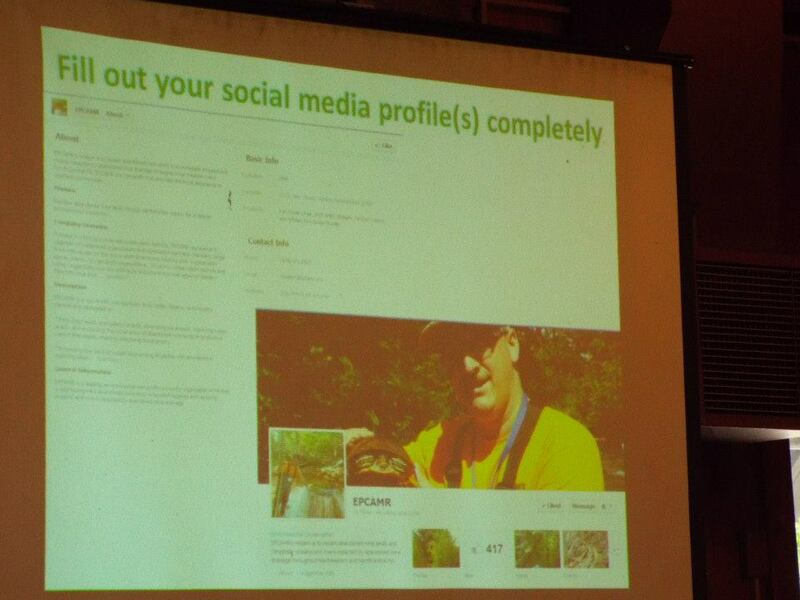 *Note: Use the “Create Your Own” type of card and enter Watershed Hero as your topic. We would like to know: 1. About Our Hero (Full Name and Hometown), 2. Watershed(Home Watershed and Organization), 3. Key Projects ( 2 projects he/she is best known for), 4. Inspiration (Favorite Quote and Mentor), 5. Something Unique (2 unique qualities). Then upload a headshot photo from your computer and Voila! you have a trading card. Enter the underlined phrases above as Section Names. Enter the phrases (in parenthesis) as Labels. The Question does not display on the card so there is no need to write it in on the card. It’s easier than all this sounds! The card automatically updates as you type. Complete the card with the information above and click Finish Editing, then be sure to click Finish again to be taken to the Save, Share and Print window. Share the Final Trading Card with Michael Hewitt, EPCAMR Program Manager (hardcoal@epcamr.org) to enter. Save the Final on your computer or Print for a copy to keep. This year, over our Friday afternoon lunch, the PA AMR Conference Planning Committee through a brief introduction made by EPCAMR with a regional artist who was on his way to a local University in the Back Mountain of Northeastern PA to give a presentation on Aerial Photography and Abandoned Mine Lands, we’ll be enjoying a visually stimulating presentation as we eat. His name is Peter Stern. 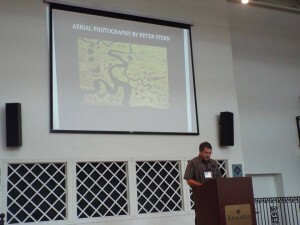 He is an aviator by hobby, who has flown the Coal Region of PA photographing the landscape utilizing aerial photography. Here’s a short YOUTUBE video link of some of his photos with background music and some narration. Peter Stern’s love of flying began at age 15 when he took flying lessons near his hometown of Crawfordsville, IN. This love was reignited when he discovered ultralights at an airpark on Maryland’s Eastern Shore in 2003. Stern’s love of artmaking began when he was in his 20s when he started taking nature photographs in New England and studying photography at Johnson State College in Vermont. In time, he integrated his loves through aerial photography. Deadline for Abstracts Due on Good Friday! The PA AMR Conference Planning Committee is still taking abstracts for consideration under review for the upcoming 15th Anniversary PA AMR Conference in State College, PA at the Ramada Inn. If your company has a new treatment technology that you’d like to share with the PA AMR Community, submit an abstract. If your watershed group has a success story that they’d like to share, submit an abstract. If your industry has new and innovative ways to utilize AMD, submit an abstract. If you are in the environmental health field and have any research updates that you’ve been working on related to AMD or abandoned mine lands, submit an abstract. Have you found alternative funding sources for your projects and or sustainability of your organization, then submit an abstract and share it with the PA AMR Community. Direct your Abstract Submission to Robert E. Hughes, Executive Director, for the Eastern PA Coalition for Abandoned Mine Reclamation (EPCAMR) at rhughes@epcamr.org or call for more information at 570-371-3523. Visit www.treatminewater.com for details. 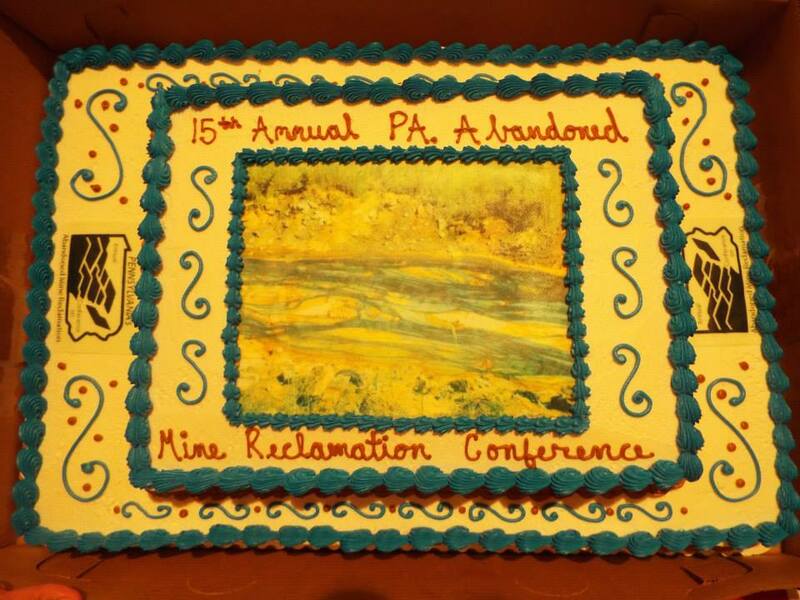 On behalf of the PA AMR Conference Planning Committee, we would like to invite interested parties, professionals, innovative leaders in the field of abandoned mine reclamation and AMD remediation to submit their abstracts for consideration for our 15th Anniversary State-wide Conference on Abandoned Mine Reclamation slated for August 8-10th, Ramada Inn, State College, PA. The due date for submission of the Abstracts is March 29, 2013. The PA AMR Conference Planning Committee will review them over the Easter Break and following up with those submissions that will be accepted to give a full presentation this year. We are looking for presentations on innovative AMD Treatment Technologies, AMD and Environmental Health Studies, Self-sustaining AMD Treatment System Success Stories, Marcellus Shale related Industrial Applications of AMD and Iron Oxides, Watershed Data Management Tools, Economic Benefit Studies in AMD Impacted Watersheds, Economic Redevelopment Opportunities, and Collaborative Coalition Success Stories that have occurred over the last 15 year history of the PA Watershed Movement. Please include the Name of the Primary Presenter and Co-Presenters, Brief Biography, Company Affiliation, Watershed Group Affiliation, Address, Phone Number, E-mail, and a 1 page Abstract detailing an Executive Summary of your proposed presentation. Presenters will be expected to have their full presentations ready to go and available during the Conference on a thumb drive of their own. Presenters selected are expected to pay for the low cost of attendance to the Conference to cover registration and meal costs. Should you decide to only present and leave following your presentation due to conflicts or limited time availability, please discuss this with either EPCAMR or WPCAMR Conference Co-Coordinators in order for us to accurately account for the registration attendance and meal plan coordination for the event. If your presentation is not selected, it may still be able to be exhibited in a Poster Presentation , if you would like to format it in such a way where we could present it at the Conference. Time slots and availability of those slots will be chosen following the selection of the presentations and will be communicated to all presenters. We will make every effort to try and slot presentations without any conflict from presenters as we flush out the agenda for the Conference. Direct your Abstract Submission to Robert E. Hughes, Executive Director, for the Eastern PA Coalition for Abandoned Mine Reclamation (EPCAMR) at rhughes@epcamr.org or call for more information at 570-371-3523. Visit www.treatminewater.com for details. 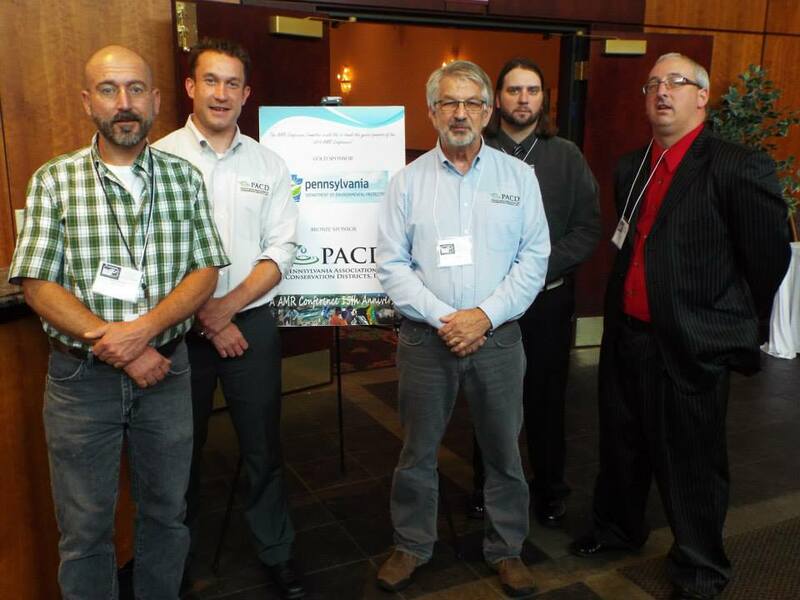 The 2013 PA AMR Conference will be August 8-10, 2013 at the Ramada Inn and Conference Center in State College, PA. The PA AMR Conference Committee is in full on conference planning mode. Stay tuned for more info.